You need to be aware that online casinos make a lot of money. The truth is that it’s a very successful type of online activity and one of the best ways to make a legitimate profit out of the Internet. Most people who play online have no idea how to play and make silly bets, thus losing their money and making the online casino’s owner (or administrator) richer. It’s interesting to us how is it possible to have access to all that information online and still lose at games where you can easily minimize the house edge? It seems that people are simply keen on losing their money. And they lose a lot of it, which causes some folks to voice their concerns about validity of the results. Surely they can’t lose that much in such a short period without the game being rigged. Right?! 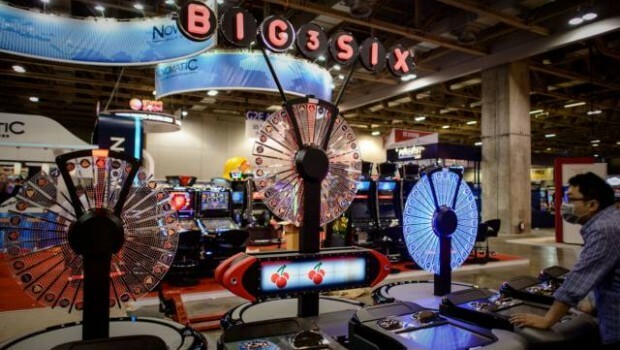 Well, just like in a real casino setting, if it is proven that the casino has tampered with the games (in this case the software), the said establishment, be it land-based or online, will go out of business faster than you can say, “This is ridiculous! I can’t lose that much. What am I doing wrong? !” However, given the fact that they make lots of money as it is, only a fool would risk his steady business over a few bucks more. It’s like stealing candy from a baby even though you own a chocolate factory. Why would you risk everything for little to no benefit? It doesn’t make sense! Also, there are more parallels with land-based casinos. Just like with Slots and Video Poker, the games are based around the principle of random number generation, which provides a fair game. The random number generator doesn’t care about the outcome of the game or your bets. It just gives a number and that’s about it. The rest is up to the game. There is nothing mystical or magical about that. Moreover, most of the casino staff don’t even know how the programs work. They are not familiar with the software and they have no idea how to tinker with it even if they wanted to. In most cases, they don’t know more than they need to in order to their job correctly. Other people handle the programming, just like other people handle the manufacturing of Slots machines and Video Poker. There is no conspiracy to take your money and run away. If you lose, you lose because you’re having a bad night, or because you’re making the wrong bets, or because you’re using a bad strategy, or because you’re not using a strategy at all. There are many ways to lose at gambling, which is why it’s such a thriving business. This is also why they don’t need to rig the software in order to take your money. Don’t get us wrong. We are not saying that these programs are impregnable. It’s possible for a skilled hacker to break into the code and see what it’s all about, how it works, etc. However, that doesn’t mean that the system is inherently flawed, but that it can be hacked, just like any other system. There are definitely ways to cheat, both online and in a land-based casinos and people have tried to explore that a lot (with some success). However, once again, those are the risks. There is always a chance for such an occurrence. The fact that it’s possible doesn’t make it likely, though. Such unpleasant instances are indeed very rare and have nothing to do with the casino, itself, but with the wicked nature of some people. 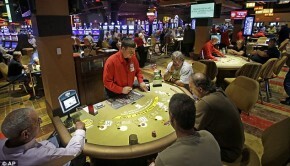 Casinos don’t need to bend the rules – the game is already in their favor. There have been many claims made by people that a game was manipulated and that they were cheated out of their money. Denial is a most basic and thus predictable human response to a stressful situation. There can be absolutely no other explanation whatsoever. You just blow out your entire bankroll in an unlucky streak, therefore the casino must be cheating. This is a very convenient logic because it completely absolves you of any faults. It was the casino’s fault and you played marvelously but still lost because the house was not being fair. It’s not possible that you’ve had bad luck and it’s not possible that you played badly. No, it was the casino. Well, let us tell you something – no matter how well you play and know a game, you are going to lose eventually. It doesn’t matter how good you are, you will lose. Whether it’s an online casino or a land-based establishment, the odds are always against you and the chance of winning is not on your side. Even if you manage to reduce the house edge to 0, probability-wise you will lose if you play enough hands. The same probability is that you will eventually win. It’s just how gambling is. Don’t think that just because you lost a few hands in a row on Blackjack there is a grand conspiracy against you. Maybe you played badly. Maybe you just unlucky. Stop playing and try another time. This is why it’s a good idea to never start making big bets until you actually start making some money. Starting with a big bet is a huge mistake. Only raise your bet when you start winning. There is a whole plethora of strategies you can employ, but this is a universal principle you can use in any game. Start small and then only raise if you start winning. This way you will play more, and you reduce the chances of losing your entire bankroll in just a few hands significantly. Many people claim that the casino is being dishonest when they start losing. However, we’ve rarely seen any proof at all backing up such claims which leads us to believe that in most cases it’s just a way for people to vent their frustrations. This is a normal response to this sort of situation so you shouldn’t be surprised to see a lot of talk about cheating online. Don’t just believe anything you read, though. Most of it just that – talk with no evidence and just one frustrated player who says that it should be impossible for him to lose that many games even though there is an obvious house edge in certain games.